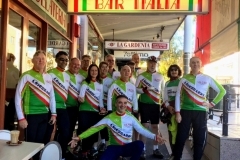 Bike Leichhardt has many keen tourers and gets away for a weekend, a week, or longer several times a year. See a list of tours we have done over the years (scroll down to the bottom). What do you need to tour on a bicycle for a weekend or more? Your bike should first and foremost be reliable and well maintained. Also comfortable, as you might be all day in the saddle. 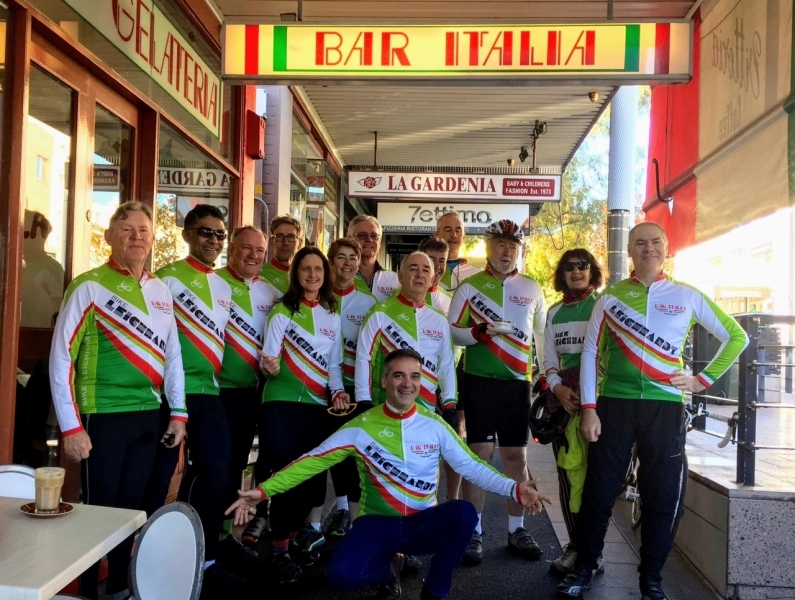 Depending on the road and route you could use a sturdy road bike with 25-28 mm tyres and a backpack but generally on an Bike Leichhardt tour a hybrid bike or touring bike with thicker frame and bigger tyres (28 mm to 35 mm), plus ability to attach panniers, is the way to go. Some riders use mountain bikes with road tyres, and the low gearing and suspension makes this sort of bike good for hilly or rougher roads. There are more options coming on the market too, such as “gravel bikes”. Tyres. The latest touring tyres are puncture resistant and tough, look for Continentals or Schwalbe, but there is a wide range. See what other tourers are using. Thick patterned tread is not essential, some tourers use smooth tread tyres, and certainly don’t use really knobby mountain bike tyres, they just make a lot of noise and don’t roll well. Panniers. There are many brands of panniers. See what other tourers use and ask around. Ortlieb panniers seem to be the best for waterproofness, but they are more expensive, unless you get them on line. A cheap pannier will do on a short weekend tour, and you can just put things in plastic bags to keep them dry, or mostly dry, you never can win in heavy rain.You might prefer pannier with pockets so you can organize your gear and get to things more easily. Gearing. Depending on your strength and endurance, a good granny gear is invaluable at the end of the day when you are tired and have one last hill to do. Touring bikes have a triple chainring (front cogs) with a smallest front ring of about 24 to 28 teeth. The rear cogs will range from about 11 up to 30 or even 34 or more on mountain bikes. A 34 rear combined with a 24 or 26 front ring will give you a granny gear that will handle almost any hill, at just above walking pace. Other gear. A front handlebar bag is useful for storing odds and ends. You will need two or three bidons (water bottle holders attached to frame), or you can carry water in your panniers. A good rain jacket. Cycling shoes or whatever you are comfortable in. Shoes with a rigid sole are usually more efficient than squishy sneakers. A spare pair of shoes or sandals for the end of the day. One change of cycling gear. One set of off bike clothes. Remember weight is important, and you can always give shirts and shorts a quick wash. If still wet they can be draped over panniers for a few miles in the morning to dry. But now I am getting too detailed, you will soon learn the tricks of the tourer. Camping or hotel style touring? If camping you will need even more gear, and light weight tents and gear become even more important. This is something you can work out for yourself, if the expense of buying the gear is worth it, or is it easier all round to stay in a hotel or motel or caravan park cabin, etc? Bike Leichhardt does mostly the latter type of touring but there are a few dedicated campers, usually with a bush walking background. See a list of tours we have done over the years (scroll down to the bottom).